Brian Marin has joined Dealflo (www.dealflo.com), the first truly end-to-end financial agreement automation company, as COO. He is responsible for helping Dealflo scale its operations for continued aggressive growth, particularly in Europe and Asia (including China). He will also focus on growing the engineering teams based in Montreal to further develop Dealflo’s innovative platform. Dealflo successfully closed a £10 million Series B investment round earlier this year, led by Holtzbrinck Ventures, with follow on investment from Notion Capital and participation from Frog Capital. It is one of the fastest-growing technology companies in Europe and is listed on the Deloitte Fast 50. Marin built his career helping US headquartered companies expand into Europe and Asia. 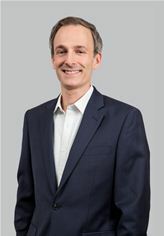 He has held senior positions at Performics (which was acquired by DoubleClick, then Google), Marin Software (which IPO’d on the New York Stock Exchange in 2013) and various other specialist SaaS startups. Marin is based in London and will work from Dealflo’s London headquarters. Dealflo provides end-to-end financial agreement automation services. It processes more than $10bn of financial transactions annually for companies including BNP Paribas, BMW and Prudential in a single service. Dealflo reduces risk and cost, increases conversion and improves user experience by automating the entire process.